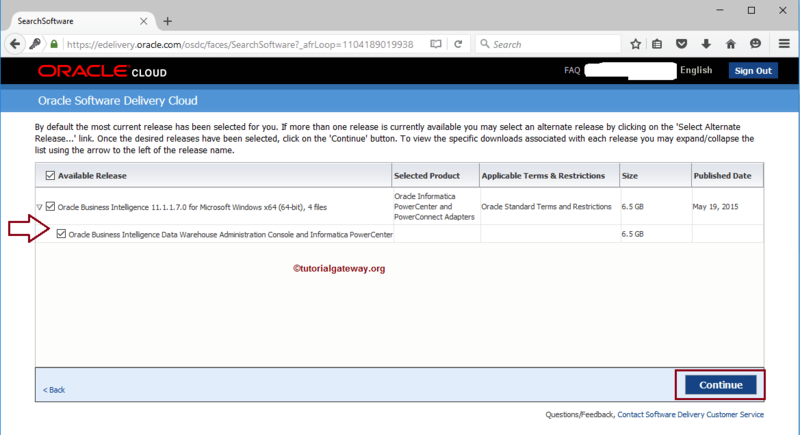 In this article, we will show you, From where or How to download Informatica with screenshots. 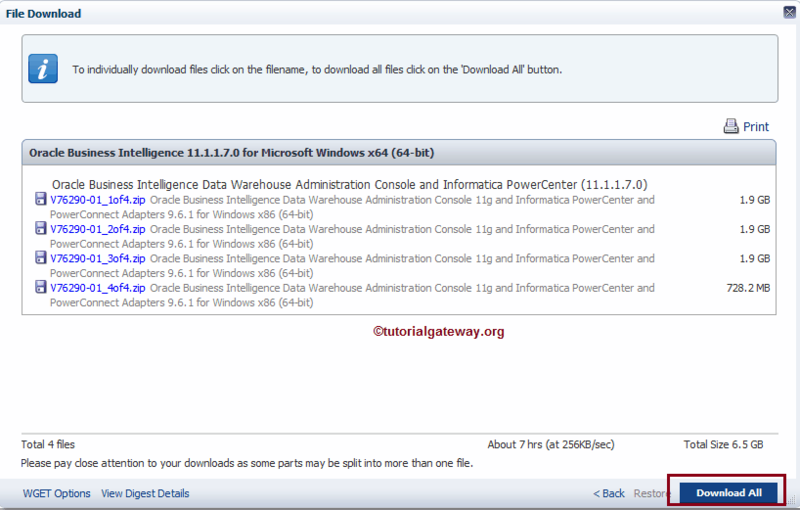 Following are the steps involved in Informatica download. 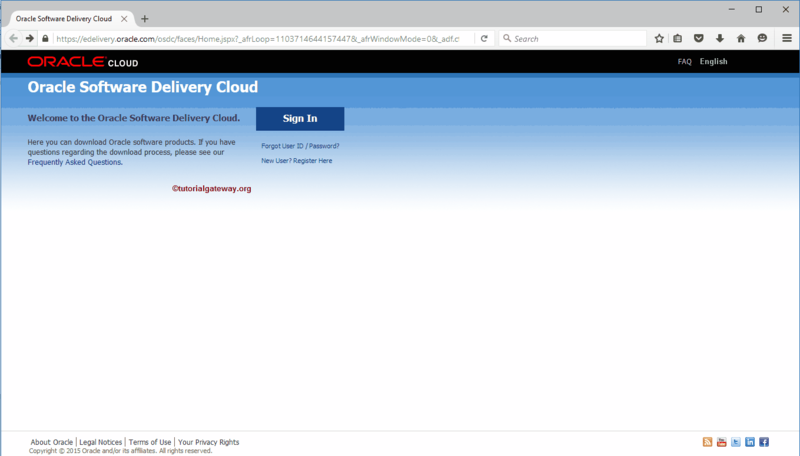 Step 2: Once you click on the sign in button, the following window will be opened. Please provide the username and password of your personal or organization account and click on Sign In button. 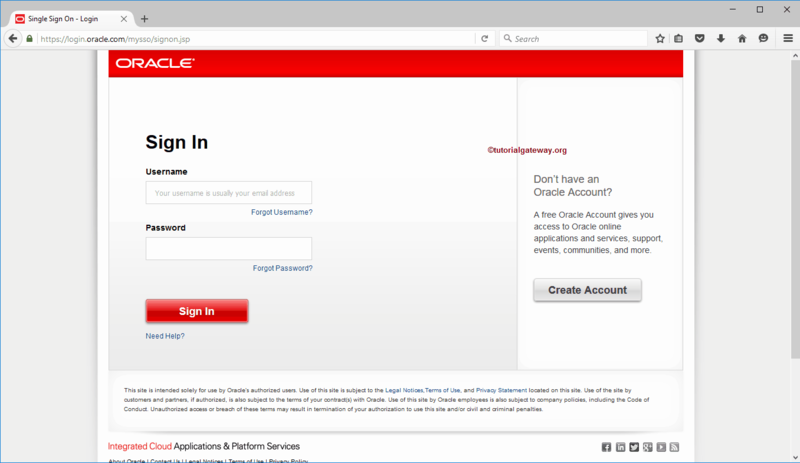 If you didn’t have oracle account then, create one by clicking the create Account button and fill in the required details. 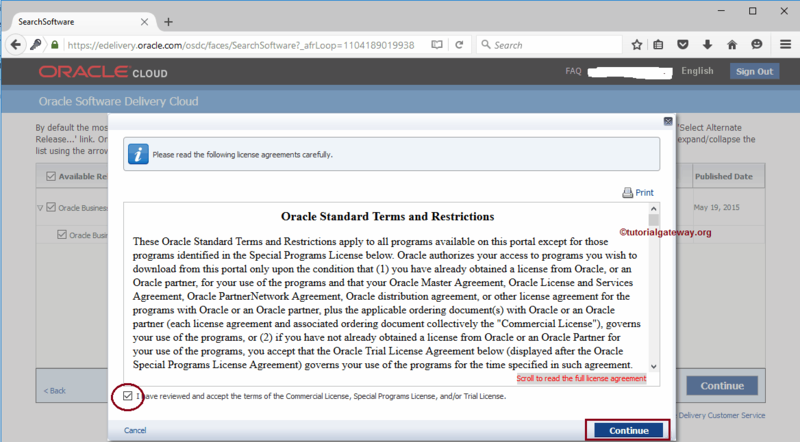 Step 4: Once you accepted the terms, the following screenshot will be displayed. 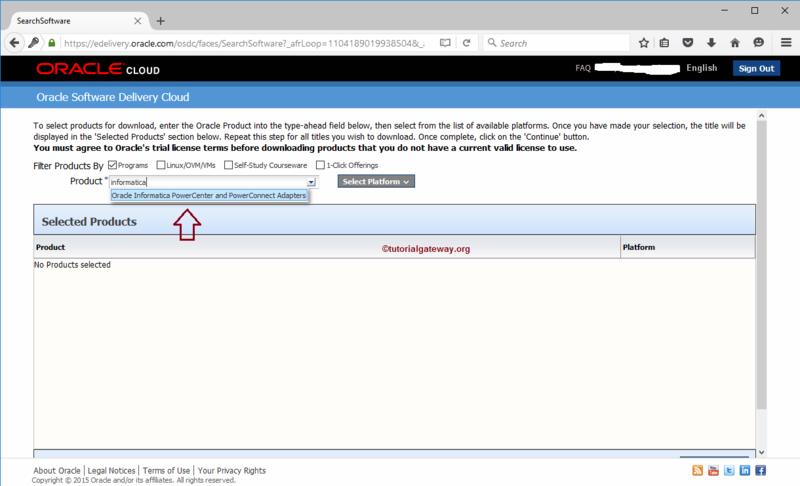 Here, Product field is to type the required product(s) name(s) and Select Platform is to select the operating system(s). 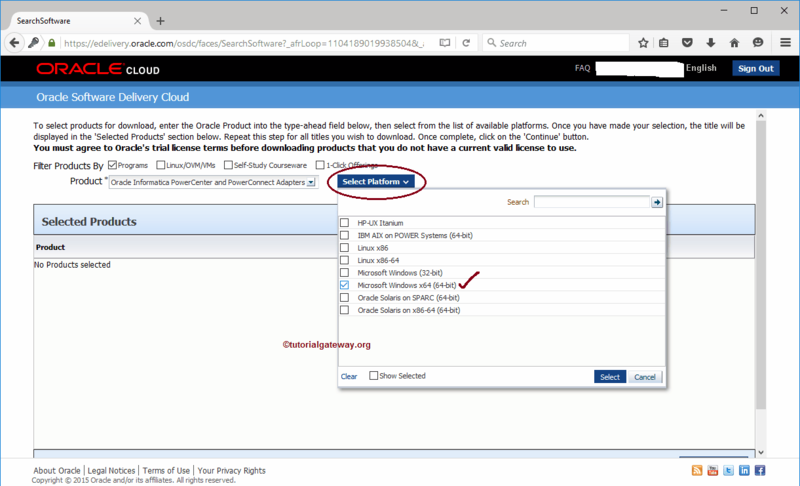 Step 6: Selecting the Select Platform will show you the list of available platforms. Please select the checkbox next to the platform(s) you need, and click the Select button. Since we are running on windows 64 bit, we selected the same. 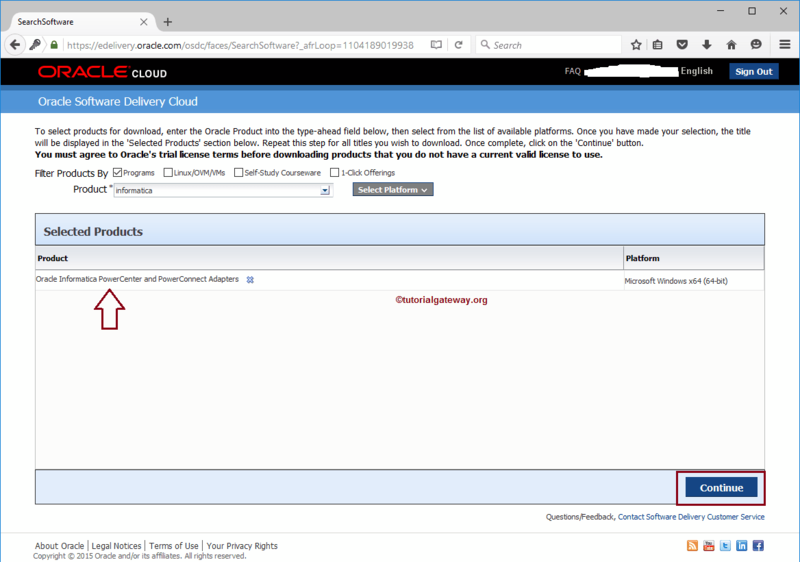 Step 7: once you selected the product and the platform, Please click on the continue button as shown below. 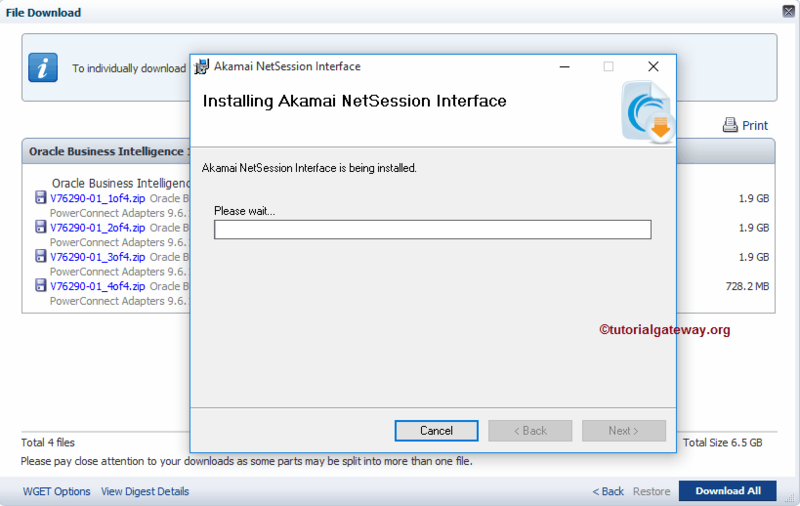 Step 10: Click on the Download All button as shown below. 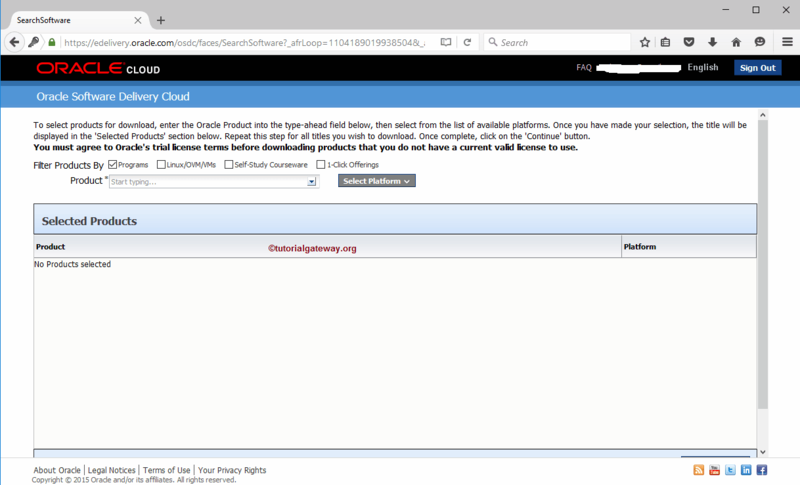 If you require any particular part(s) then, click on the part(s) link and download them. 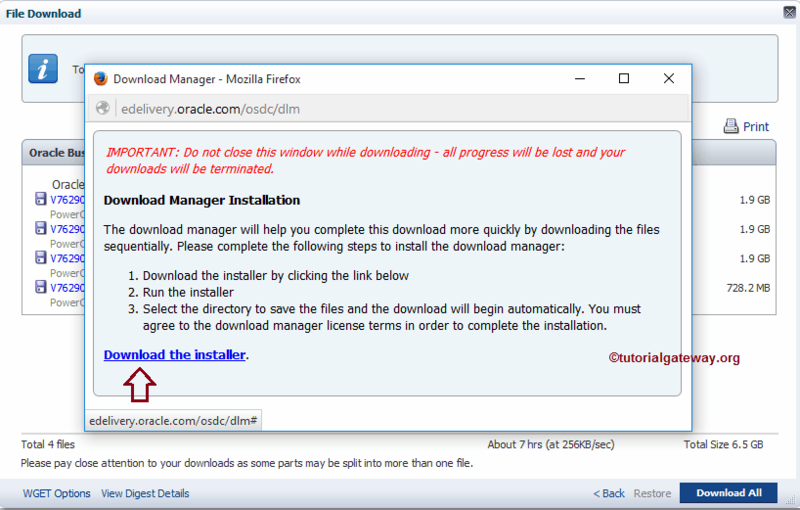 Step 11: Next, Click on the Download the installer hyperlink to download the Informatica installer. 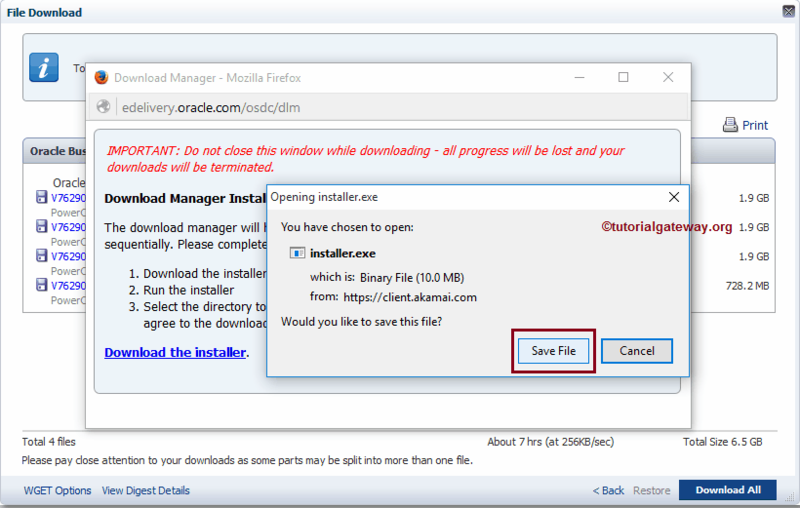 Step 12: Please click on Save File as shown below to save the installer. Once the download is complete, install it. 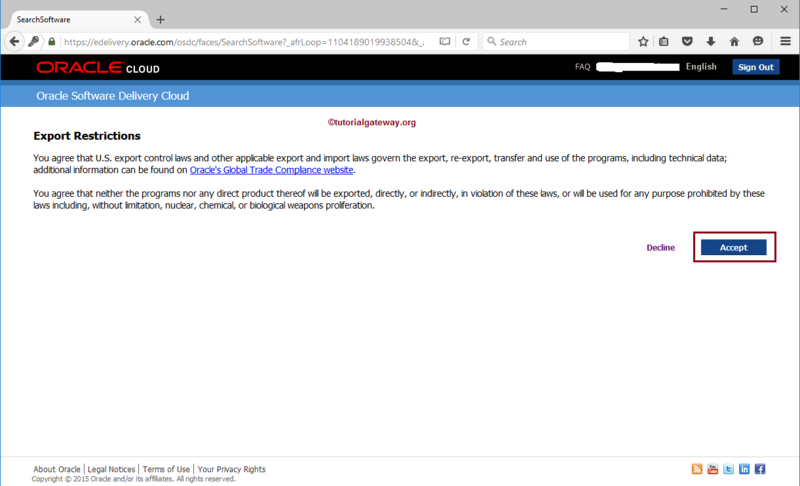 Step 15: From the below screenshot you can notice the four ZIP files. It means, we successfully downloaded informatica from the Oracle website. 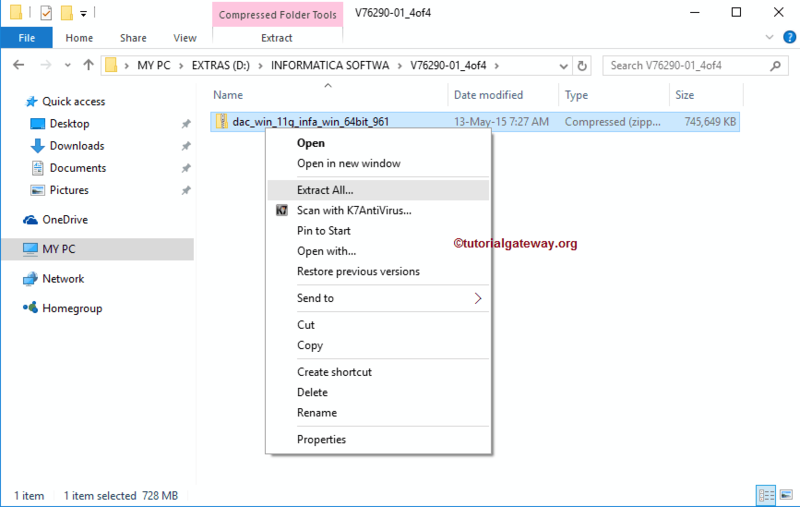 Step 17: Once you extract the four parts, Go to V76290-01_4of4 folder and select the dac_win_11g_infa_win_64bit_961 zip file and extract it. For the first path, please select the dac_win_11g_infa_win_64bit_961.z01 file inside the V76290-01_1of4 folder. For the second path, please select the dac_win_11g_infa_win_64bit_961.z02 file inside the V76290-01_2of4 folder. Third path, please select the dac_win_11g_infa_win_64bit_961.z03 file inside the V76290-01_3of4 folder. For the Fourth path, please select the dac_win_11g_infa_win_64bit_961 zip file inside the V76290-01_4of4 folder.